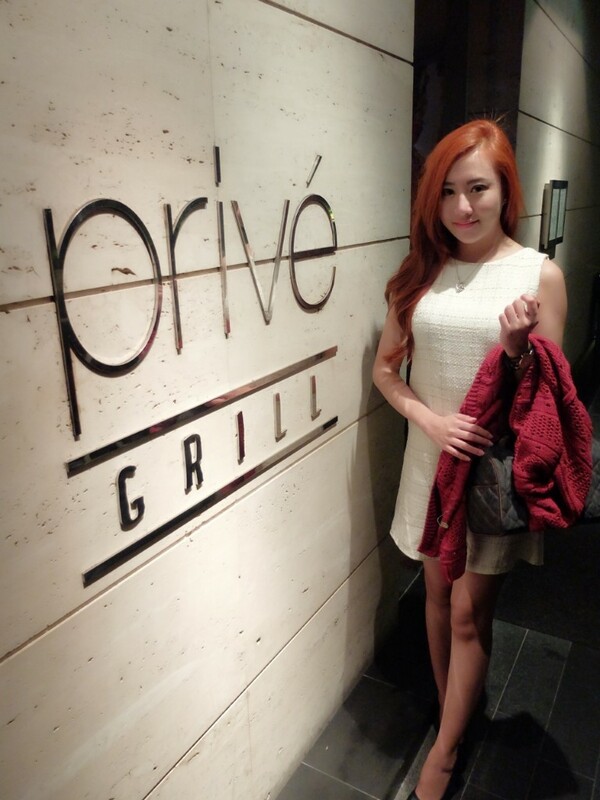 Privé Grill – my dinner choice for the 1st day of Restaurant Week! You can view read my previous Restaurant Week lunch post on Kiku. 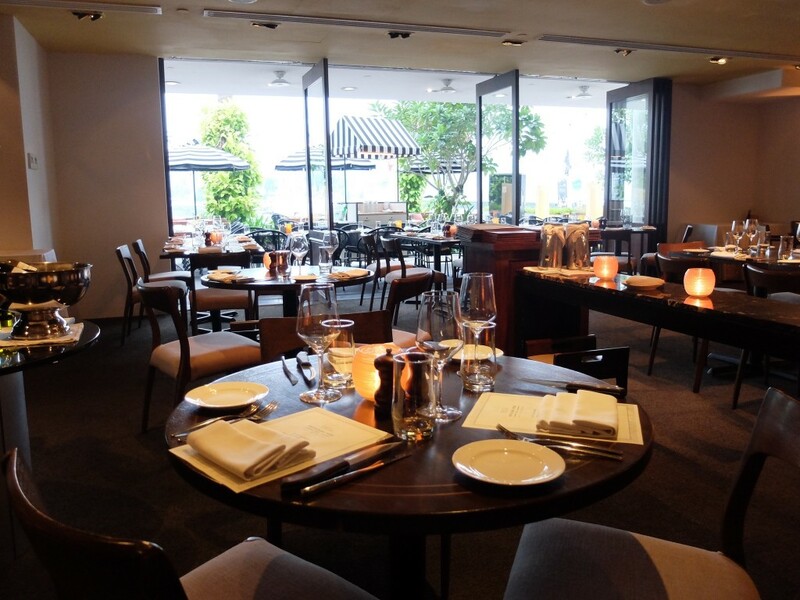 As you can probably tell by it’s exquisite Keppel Bay location, Privé Grill is not exactly cheap to begin with. So, you can probably imagine how excited I was when I saw it available in Restaurant Week. And…. to make the deal even more crazy…. That means there’s no additional charge of $20++ SGD for dinner (YAY!!). 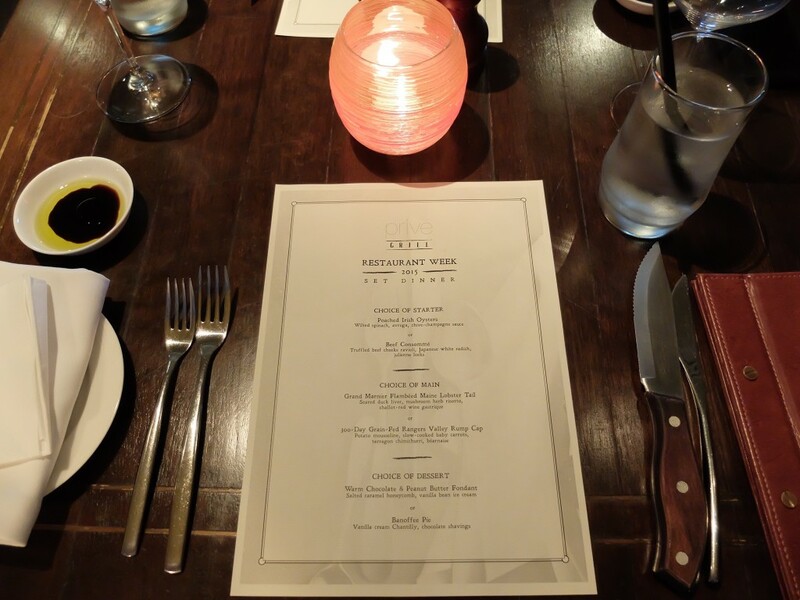 It’s only $35++ SGD per pax for dinner so what’re you waiting for? Don’t book really will regret + 对不起自己. LOL! They’re still preparing for opening when we reached there! We were the first customers to reach and they’re not really ready yet. We were ushered to be seated outdoors first. ..but too bad my Casio TR50 is kinda failing on me. It’s been super problematic such as having a super-duper long shutter time, and photos turns out to be way over-exposed regardless of settings. FML. And yes, I’m still trying to find some time to bring it down to the service center. ? I resorted using my iPhone 6’s camera instead but turns out K was in a good mood so he started taking photos of me unknowingly until he called my name and I looked up. Talking about being oblivious to my surrounding: I think I aced it. Lol! ? Told y’all that we were the first to reach! 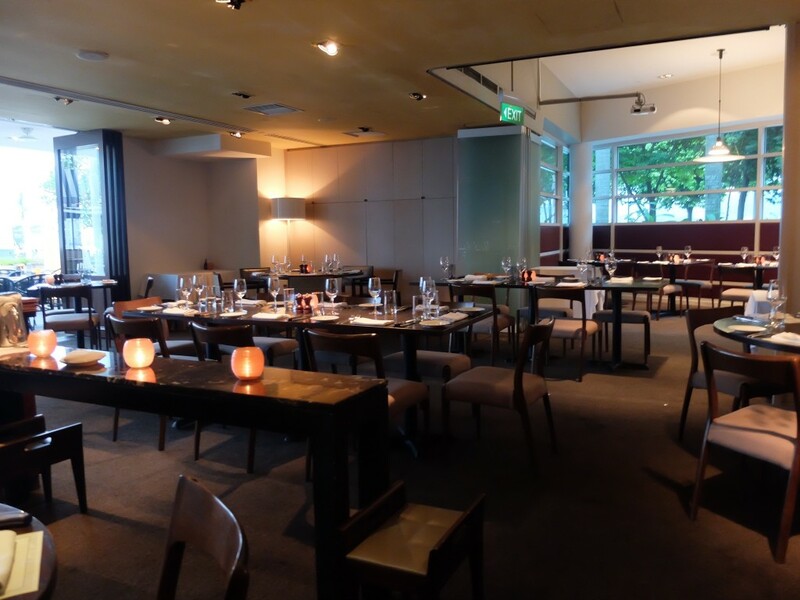 Look how empty the restaurant was – it’s just as if we booked the whole restaurant for ourselves… for 10 minutes before more guests start to arrive. ? ..which was kinda true because there’s only 2 choices available for each course and there’s two of us. 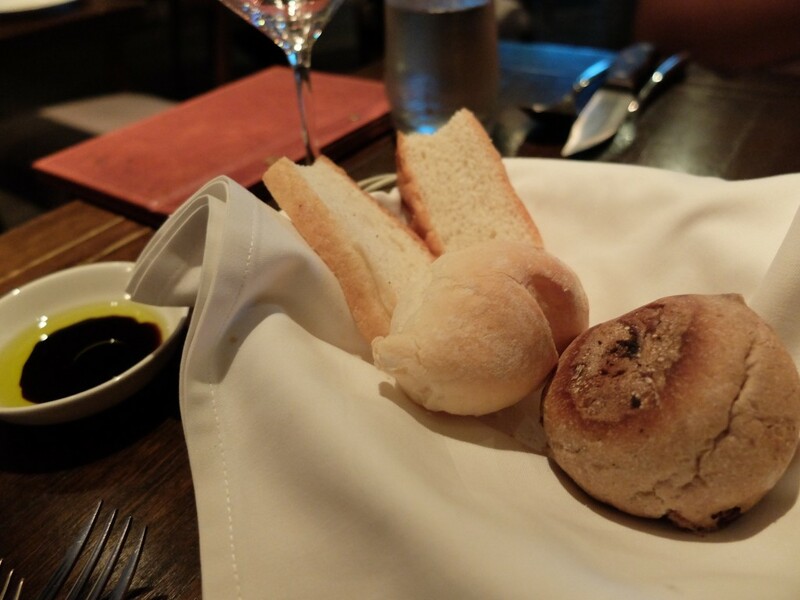 First round of bread wasn’t that good because it was cold but shortly, they refilled it with some freshly warmed bread which tasted much better! Truffled beef cheeks ravioli, Japanese white radish, Juliénne leeks. 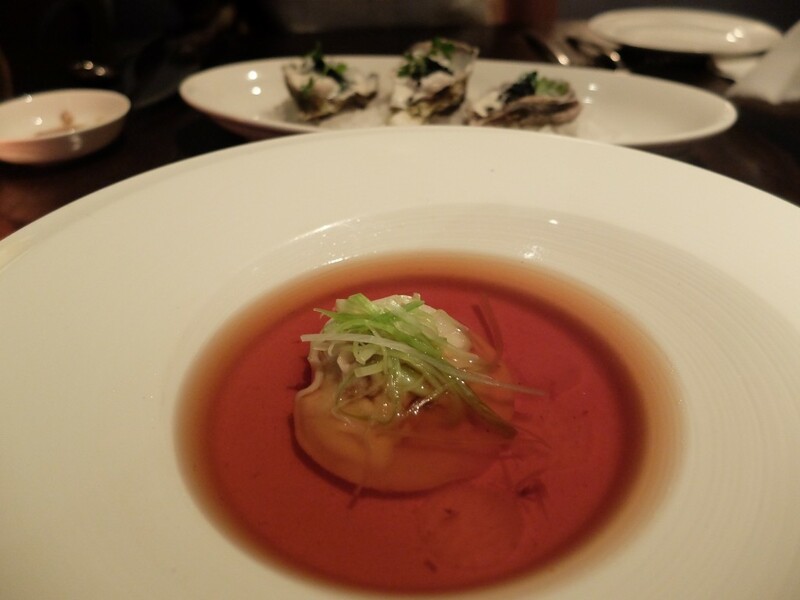 Their Beef Consommé that taste pretty average. Probably too small to really sample the taste. Lol! It’s like, having one beef meatball in a giant plate lor. Wilted spinach, avruga. chive-champagne sauce. 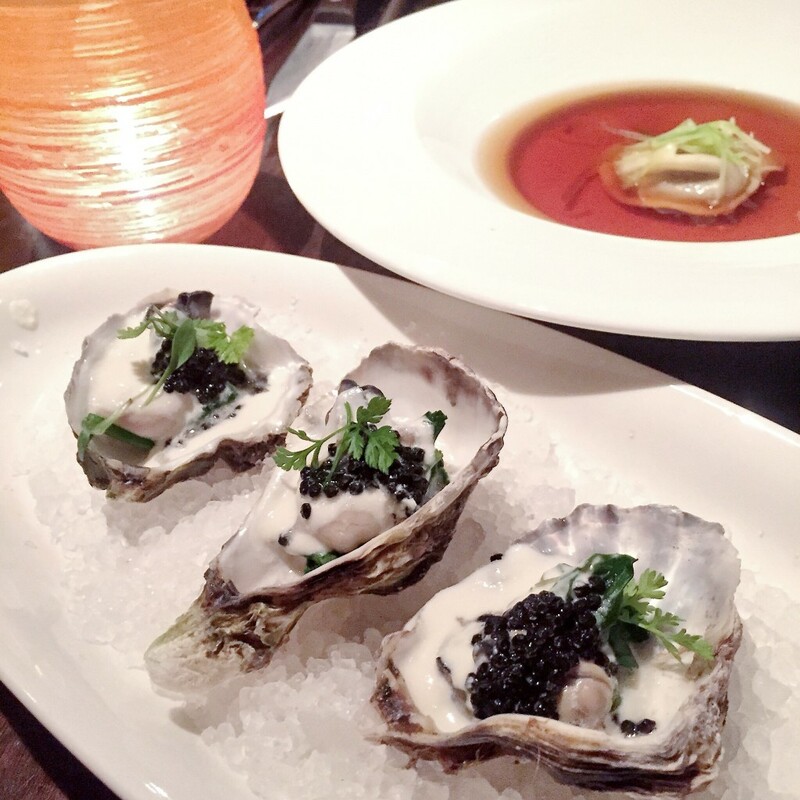 And… the Poached Irish Oysters. Goodness! Take my money! It’s sooooo good! I graciously gave 1 to K upon seeing his starter – the sad looking ravioli. ? 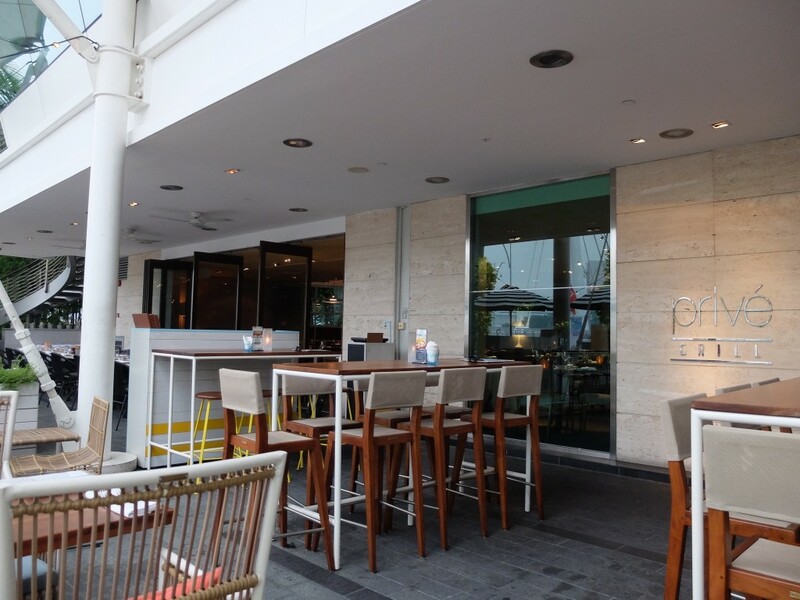 I bet some of you don’t know that you could actually order food anddrinks from Privé Café over at Privé Grill. Those that love MEGA SINFUL milkshakes must order Privé Café’s milkshake! They have perfected the best milkshake so far – it doesn’t have the “oily/fat” aftertaste that lingers in your mouth after drinking. It used to be in a bigger glass, if I didn’t recall wrongly – but no worries, it’s still as good as it should be. 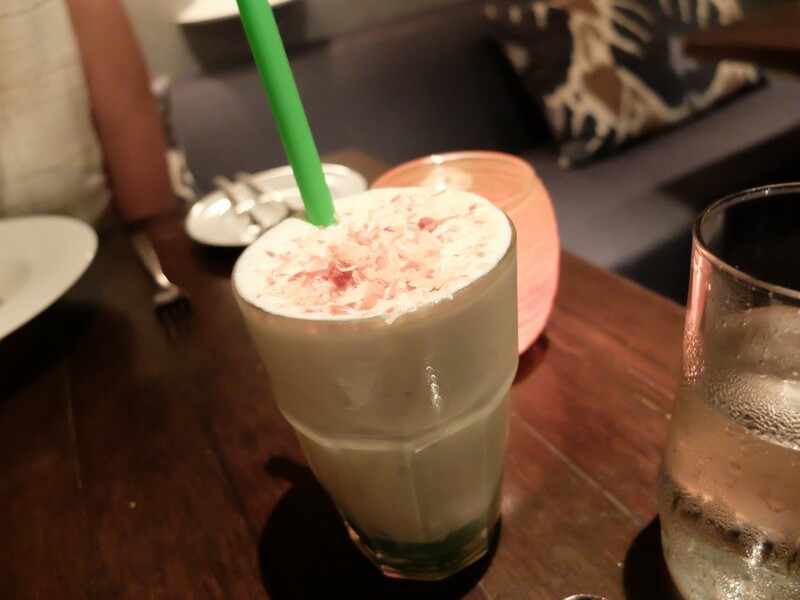 Go forth and be adventurous – try the Pandan Gula Melaka Milkshake! Potato mouseeline, slow – cooked baby carrots, tarragon chimichurri, béarnaise. 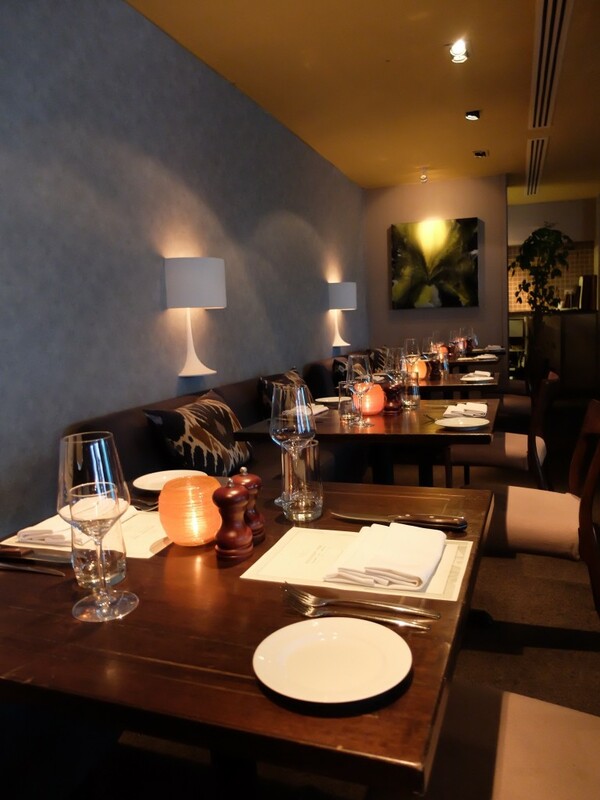 The 300-day Grain-fed Rangers Valley Rump Cap – lovingly cooked with their oh-so-famous Josper Grill! Seared dunk liver, mushroom herb risotto, shallot – red wine gastrique. ..and my main, the Grand Marnier Flambéed Maine Lobster Tail! 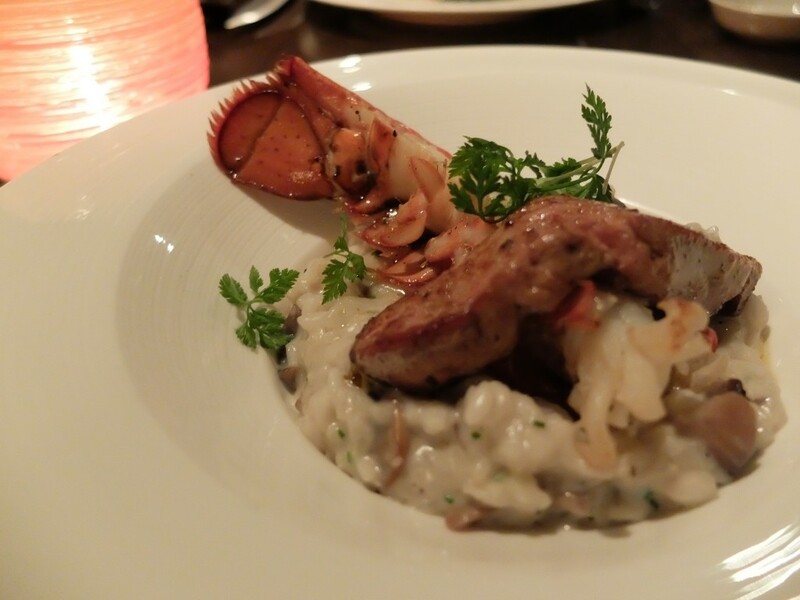 The chef slightly under-cooked the lobster tail on purpose to give it a more chewy and sweet texture. And yes, the foie gras. I don’t remember from my past visits to Privé Grill that it was this BIG. My eyes just went ? upon seeing the size of it! Another photo for a better comparison of how big the foie gras actually was. I tried really, really hard to control my giggles as they were literally just next to us! Salted caramel honeycomb, vanilla bean ice cream. 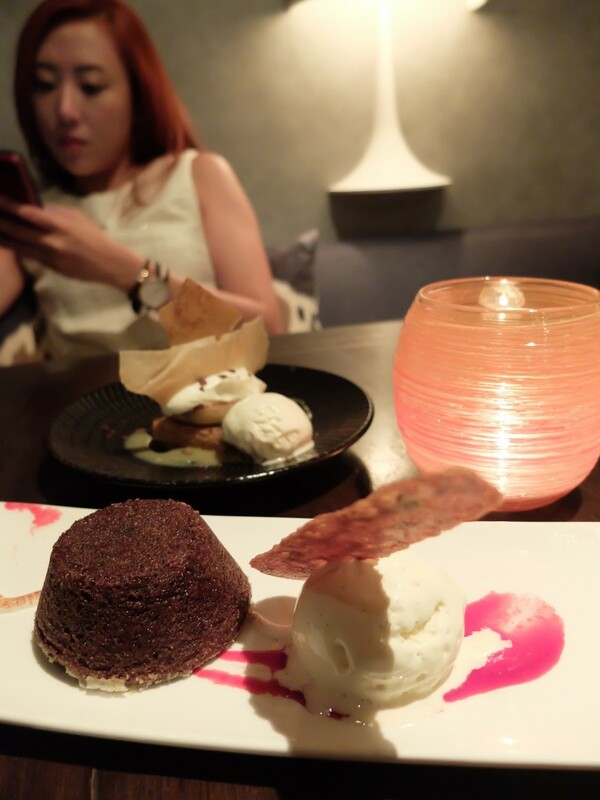 And then there was the Warm Chocolate & Peanut Butter Fondant – oh mine, this dessert is simply heavenly! It’s like chocolate lava, just that it had peanut butter too. Who says you can’t have the best of both worlds!? Vanilla cream Chantilly, chocolate shavings. 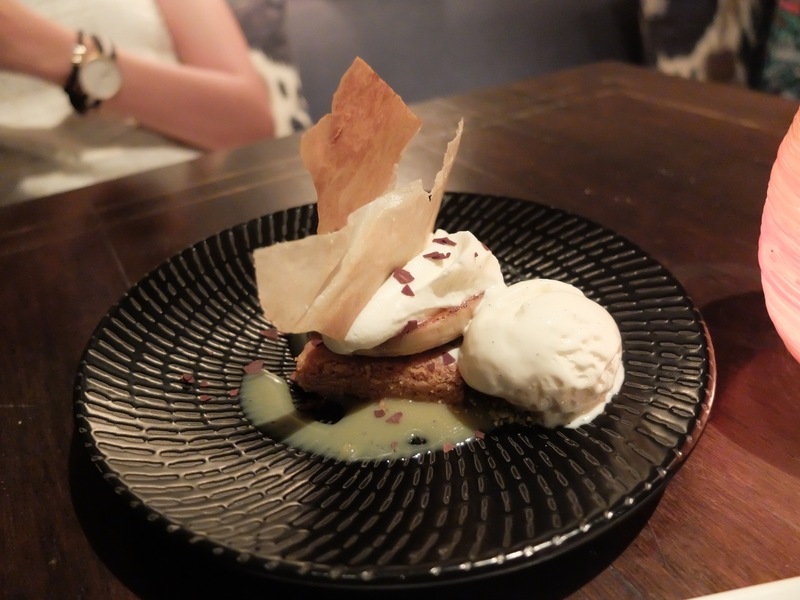 Banoffee Pie – nothing to scream about, it’s a nice dessert, but….. Oh well! 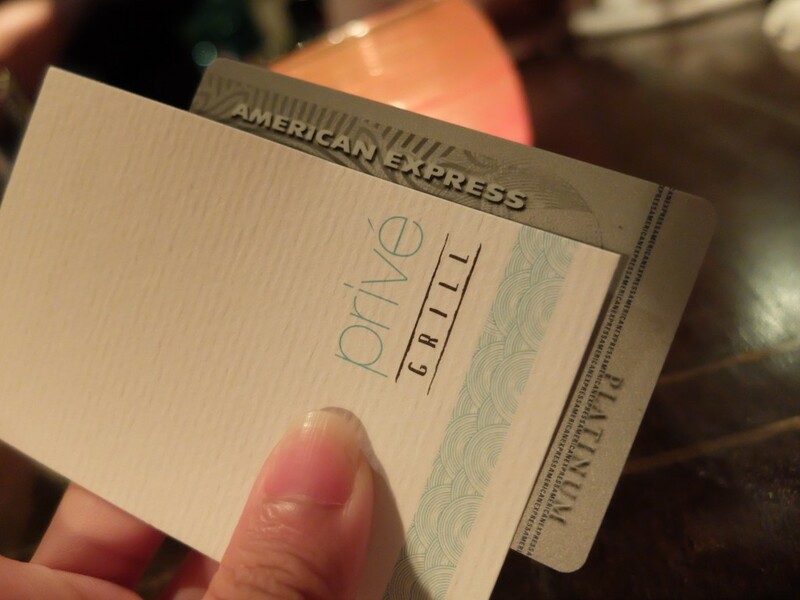 For American Express Card Members, not only do you get to enjoy priority bookings, but you could also stand a chance to win a 3D2N staycation and retail vouchers worth $1500 SGD when you pay with your American Express Card at participating restaurants during Singapore Restaurant Week 2015! Don’t forget to register your chance at amex.co/sgrwdraw before paying with your card! 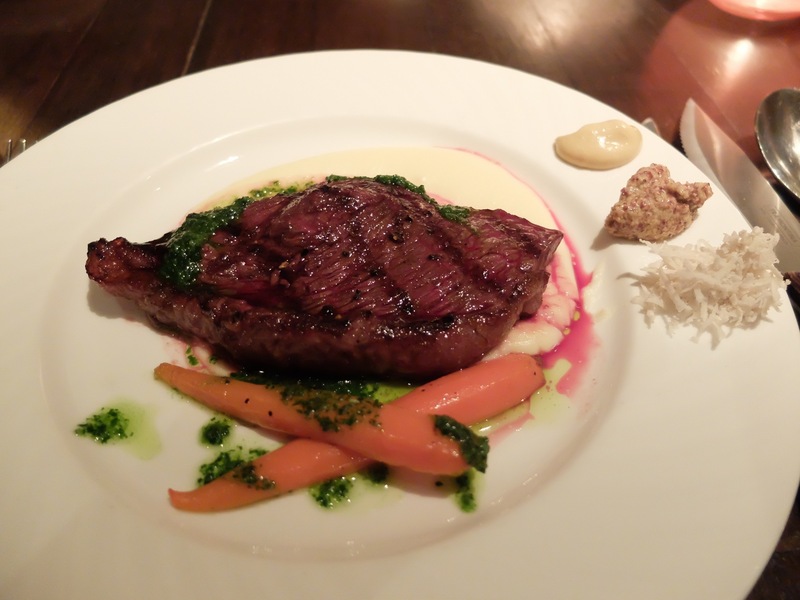 On the way to the carpark, we realised that the 3 course set that K chose (Beef Cosommé, 300-day Grain-fed Rangers Valley Rump Cap and Warm Chocolate & Peanut Fondant) was available in Privé Grill’s lunch menu for Restaurant Week 2015. K immediately felt cheated of his $10++ SGD (lunch set cost only $25++ SGD instead of $35++ SGD). LOL! ??? But on 2nd thoughts, it was really good so even at the price of $35++ SGD, it’s still a steal!